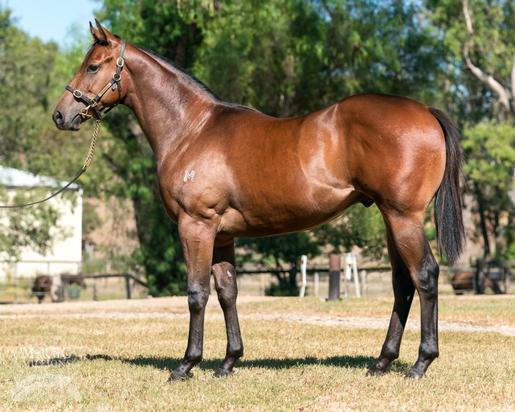 We are very happy to have secured Lot 27 being a bay yearling colt from the 2019 Magic Millions Adelaide Sale. This cracking colt is by hot sire, Nicconi - who has sired 266 winners from 366 runners, 17 stakes winners being the likes of horses such as Nature Strip, Faatinah, Sircconi and many more. He is an exciting sire, who definitely stamps his offspring with the look of speed. His dam, La Charge is a Charge Forward mare which was trained by Kerry himself, who, herself, notched up 6 wins in her career. This is her first foal. The colt looks strong and athletic and has a beautiful pedigree to match, with a double cross of Bletchingly evident on his page. Any enquiries, please call Kerry on 0419 029 712 or email kjparkerracing@bigpond.com.